Hands up… who here made a resolution to eat healthier in the new year? Maybe you’ve fully committed to a new and restrictive diet or just decided to make a few changes to your eating habits. Either way, it can be difficult to stick with your new goals. This can be made worse with the occasional digestive upset due to dietary changes. Tummy troubles are enough to make anyone go back to their comfort food. The Healthy Habits Inhaler Blend can help. Luckily essential oils can be a useful tool in helping you stick to your plan. 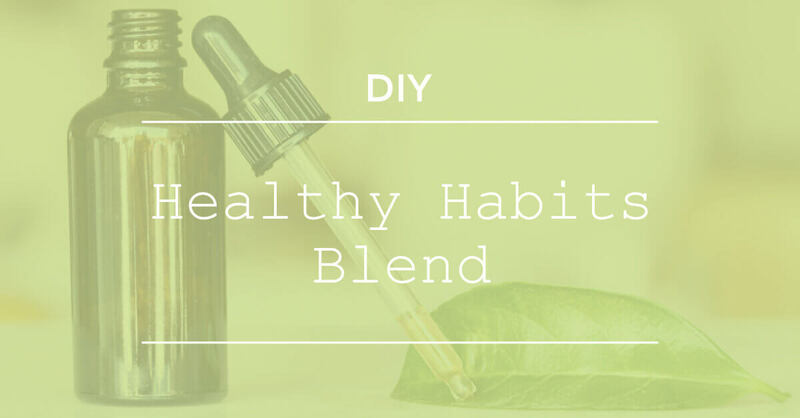 This Healthy Habits Inhaler Blend can help soothe digestive upsets. Peppermint, in addition to being a soothing aroma, can also help with a queasy stomach when sniffed. Plus Cinnamon Leaf contains a significant amount of the chemical compound Eugenol, which has been shown to alter our neurosensory perceptions of the taste and smell of food. This means it can ultimately help curb hunger cravings. 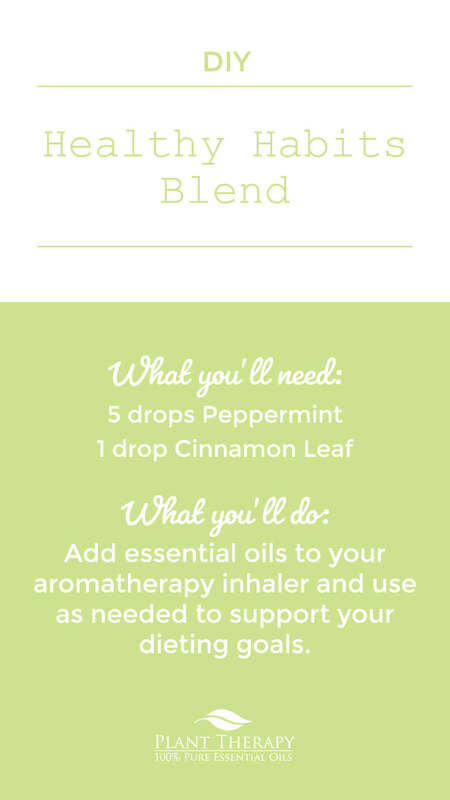 Add this blend to your personal aromatherapy inhaler and give it sniff after meals. Not only will help soothe digestive system but after time, you will begin to associate the smell with a full stomach which can help with cravings in the future. Add essential oils to your aromatherapy inhaler and use as needed to support your dieting goals. Will this help curb appetite?? This sounds awesome – I guess I need to get some more inhalers! I don’t have an inhaler yet, but I am going to add a drop of each to my diffusing necklace and wear it at work! I’m also going to diffuse this in the house at night to see if it helps with those little night munchie monsters! 🙂 Thanks for the great ideas. 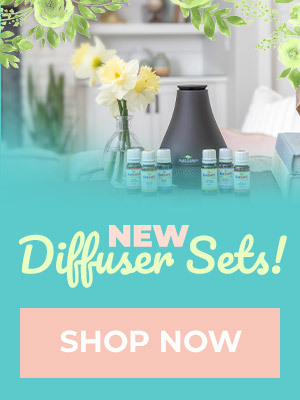 I’ve been thinking about ordering some inhalers for awhile and recently my sister expressed interest in using essential oils to help her lose weight. I think I’ll buy some and make her one of these! Just a few days ago I received my order of inhalers from Plant Therapy. This was new territory for me as I had never tried using them before. In just a few short days these inhalers have quickly become my favorite way to benefit from essential oils. Thanks for the recipe in this blog post. I’ll be making it shortly. Two of my favorite oils. Nice combination to switch between Munchy Stop. I keep Munchy Stop in my purse, and now will have this inhaler to use at home! I can’t wait to try this blend. I never would have thought to mix these to oils. I just made an inhaler from the cinnamon and peppermint. I like the smell of it as well. My question is, can you use the inhaler and diffuse at the same time? I love the way this combo smells! I guess I will need to get grapefruit and cinnamon leaf since I can’t decide. I already have peppermint. I have tried this and it really has been helping me with cravings. Love..love..love it! I am so very pleased with all of you! 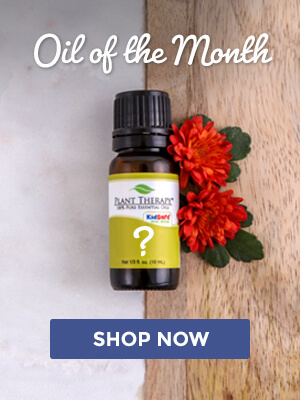 Got your copaiba oil, and my husband really loves it! This is surprising to me. Actually does relieve his pain. I know sounds funny to say that, but really didn’t think it would. I am so excited about your products, feel I have found a gold mine!! Thankful and relieved to have products that are so reasonable, free shipping, customs paid!! Thank you so much, this is going to be fun!! Sounds like an interesting mix I’m going to have to try! Thanks for the post to keep my weight loss resolution on track. I have munchy stop, which I inhale after meals to help develop the same full association, but found the information on Eugenol interesting and may switch to this instead. Would cinnamon cassia work in place of cinnamon leaf? I bet this smells amazing together! Adding to my wishlist. Just curious how would it work to use this in a diffuser? This recipe can be used in a diffuser 🙂 I suggest diffusing it after eating and enjoying it for about a half hour. 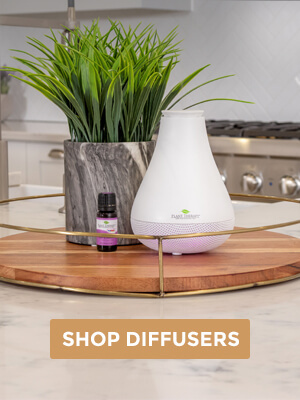 The aroma will not be as intense in the diffuser, but you are more than welcome to give it a try and see how it works for you! How long do these scents last in the inhaler? I just ordered my first set of inhalers and this sounds perfect to try. Thank you for all the education/info you provide! I just started reading some the blog posts and I did not know what I was missing! I’m relatively knew to the EO world and the posts have been very helpful. Thanks PT! I have both of those oils so I will make a personal inhaler today and give this a try. Most days I do pretty good , but there are those days that I just seem to want to graze off and on all day, especially in the afternoon! Just started a new health conscious diet. I’ll definitely add this inhaler to my regimen. I’m learning a lot from these blog posts – and from all the comments! I’m not new to the basic EO’s (tea tree, eucalyptus, etc) but as I branch out into the aromatherapy realm, the uses I’ve been missing out on are amazing. My husband and I are doing the Whole30 right now, and this might help me get through my “snackish for no reason” time in the afternoon. Spicy, minty, sweet. This blend is great. Thanks for the info! I wish I would have read this about 600 calories ago!! Making one now!! Like this simple blend,Trying it today! Thanks! I’m new to inhalers and have been looking for different blends to try. This sounds like a good one. WOW this sounds like an amazing blend. I am going to mix up some in my inhaler right now and try it tomorrow morning! I am trying to follow the eating program that is fasting for 12-16 hours and just eating in the other 12-8 hour window. Sometimes I don’t even think I am really hungry but just looking for something to munch. I hope this inhaler helps! I am thinkning of making inhalers, does anyone know how to use them? Ie, does it go in your nose or just up to it? Which hunger-curbing blend would you recommend is more effective: Peppermint + Grapefruit, or Peppermint + Cinnamon (as described here)? I’ve had quite a number of requests from friends to make a simple blend for them. Alternatively, maybe I can just try Munchy Stop? This blend came in handy on a car trip. I get the munchies while we are on road trips and my son gets car sick. This helped both of us for different reasons! Oh, I like this, TY! Try mixing Garlic with Valerian because that will take your appetite away instantly and for hours. I’m just kidding. Don’t do this for real. would you be able to substitute Cinnamon Cassia in place of leaf? Wow! Who would have known two inexpensive essential oils could curb hunger cravings?! These magical drops are definitely going in my inhaler and into my purse today. Sometimes a blend doesn’t have to be complex to be effective! I never thought of combining cinnamon and peppermint, but I really like this blend. Thanks, Plant Therapy! I started using this blend to reduce cravings. For health reasons, I am doing intermittent fasting and these oils get me through the 16 hours of fasting.